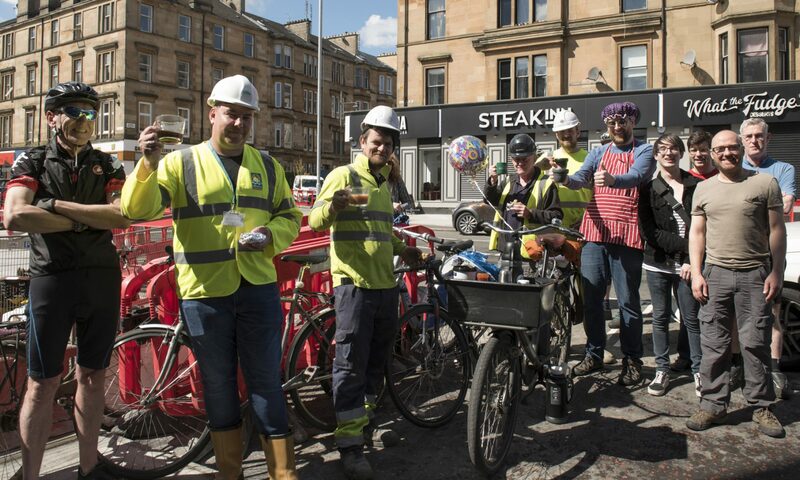 GoBike meets Glasgow’s new City Convener for Sustainability and Carbon Reduction! On 09 August Bob Downie and Tricia Fort met with Councillor Anna Richardson, Glasgow City Council’s Convenor for Sustainability and Carbon Reduction. Anna, who wrote the active travel section of the SNP’s manifesto for Glasgow, now aims to ensure that it is enacted, see: https://snpforglasgow.scot/manifesto/transport/ Do please read this and help GoBike hold our new-ish council to their word. She is not only keen to resurrect the city’s Cycling Forum, which has not met since August 2016 and for which no minutes have been issued, but to ensure that it operates with a business-like focus, to pave the way for genuine improvements in cycling. We discussed the need for good infrastructure and while she recognises that bus lanes are appropriate routes to cycle for some people, they are no substitute for segregated infrastructure that people of all ages and abilities will be confident to cycle on. We hope we persuaded her that, in the interests of economy and minimising drainage issues, that armadillos, or similar, may in places be a quick and efficient way to provide segregated infrastructure. We look forward to working with the new council, but we won’t shirk from holding them to account.